We flew into Shenzhen, China, with Huawei Philippines to immerse ourselves in the smart cashless community they have built. This is just one of the many experiences Huawei prepared for us until September 20 before we fly to Japan for Tokyo Game Show. Shenzhen is a big industrial city. From a population of 30,000 in 1980 to almost 11M in 2016, Shenzhen rose up to be one of the fastest-growing cities in the world and home to the world’s high-tech companies such as OPPO, ZTE, BYD and Huawei. As a technology hub of Asia, Shenzhen’s smart and high-tech ecosystem prepped up its society to be ready for similarly high-tech economic system. 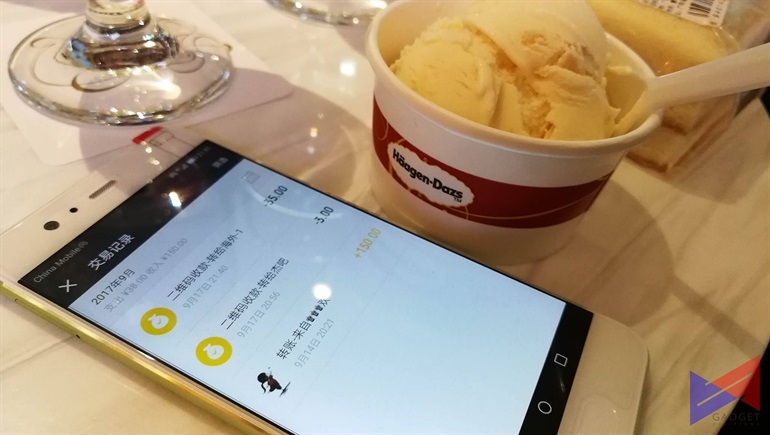 Using Tencent’s WeChat Pay on our Huawei P10, I was able to buy an ice cream from a local vendor and another ice cream chain, Haagen Daz. The process is rather simple: scan the vendor’s QR code and send the money. Overall, it only took 3 taps before I got into the paywall of WeChat to finalize my transaction. During my first attempt, it was obvious that I was a plain noob to the process. 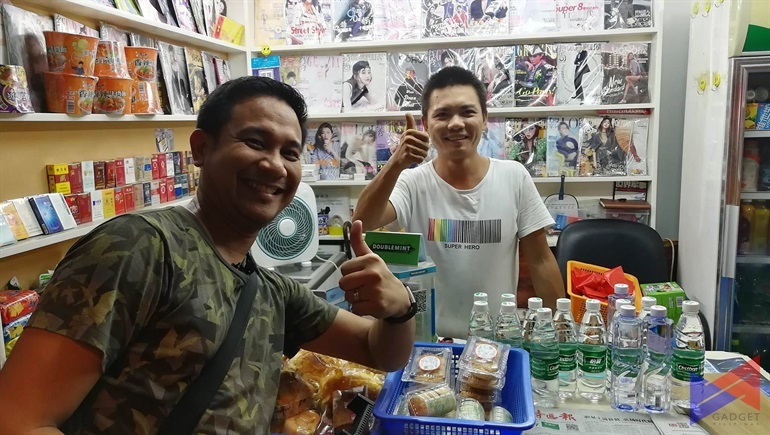 When I bought the ¥3-yuan from Ju Wei’s store – it’s like a mini sari-sari store near our hotel – I was struggling to find the right buttons to get through with my transaction. Wei and his customer, being familiar with the process, helped me through to send the payment. When I bought a scoop of Haagen Daz, I asked Kevin of Gadget Match to buy one for me. Eventually, I paid him back by simply scanning his QR code and sending the money from my WeChat wallet to his. 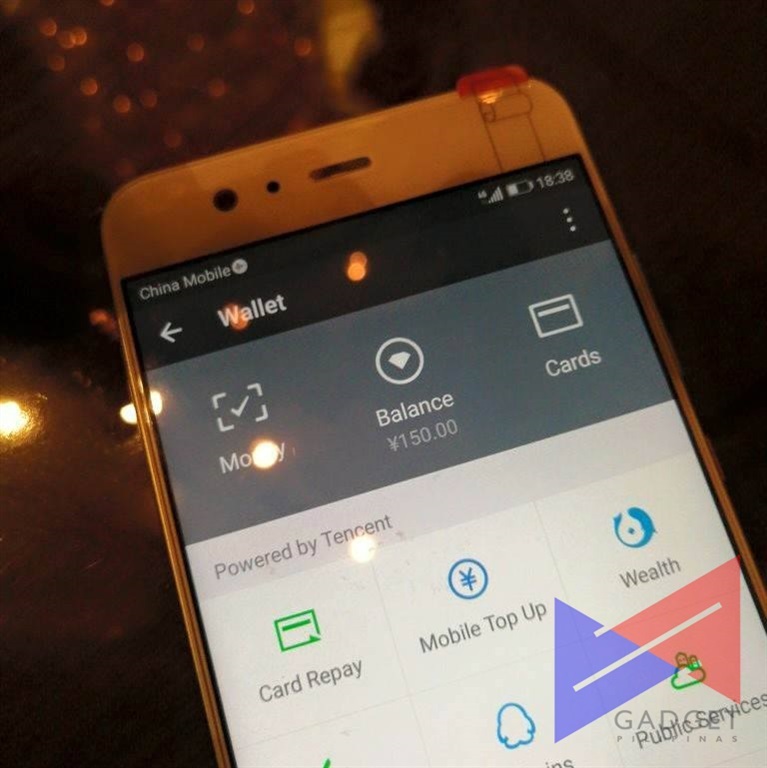 Transactions we made weren’t exactly complicated, and embracing this whole ecosystem of having slimmer pockets but thicker WeChat Wallet wasn’t difficult either. Having a cashless transaction ecosystem in the Philippines with high adaptability among industries and consumers is doable albeit in a very slow pace. First, the financial backbone of the Philippines is not yet fully ready; second, there are only a few industries and businesses in our country who are open to a cashless transaction ecosystem. Fortunately, there are several organizations like PayMaya and Coins.ph who are trying to get in the space, albeit having a slow adaptability and readiness of its intended consumers. While the solution to this isn’t exactly a moonshot, it takes a lot of effort from various enablers and users of this system to push it. I, for one, am definitely excited for things to unfold in the Philippibes; but for now, let me savor this moment as I buy my next cup of coffee at Starbucks here at Shenzhen.